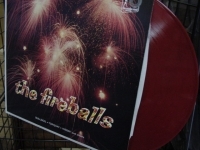 Classic Analog LPs - items 975 to 1000 Shop MyMusicFix!! 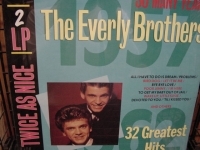 "The Everly Brothers, 32 Greatest Hits (2 LPs)"
Classic Analog LP Pressing. 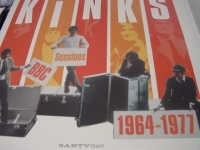 Includes Their 32 Greatest Hits, Such As: "All I Have To Do Is Dream" "Problems" "Bird Dog" "Bye Bye Love" "I Wonder If I Care As Much" "Poor Jenny" "Since You Broke My Heart" "Wake Up, Little Susie" "When Will I Be Loved" "Devoted To You" "Oh What A Feeling" "Should We Tell Him" "Rockin' Alone In My Rockin' Chair." 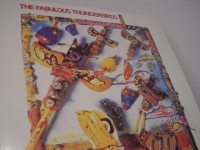 "The Fabulous Thunderbirds, Tuff Enuff (Jimmie Vaughn)"
Classic Analog LP Pressing. Tracks Include: "Tuff Enuff" "Tell Me" "Look At That, Look At That" "Two Time My Lovin" "Amnesi"a "Wrap It Up" "True Love" "Why Get Up" "I Don't Care" "Down At Antones"
"The Family Christmas Collection, Time-Life Out of Print Pressing - 5 LPS"
Classic Analog LP Pressing w/ small cut out in cover. Tracks Include: "Red Skies" "Big Wall" "Don't Be Scared" "Rules and Schemes" "Deeper and Deeper" "Stand Or Fall" "Built For The Future" "Saved By Zero" "Are We Ourseleves?" 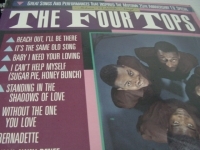 "One Thing Leads To Another"
"The Four Tops, Great Songs & Performances (Hits, 10 #1 Songs)"
The Four Tops have been together since 1954 (started out as The Four Aims) - Detroit teens who grew up together as best friends -- Levi Stubbs, Abdul Fakir, Lawrence Payton and Renaldo Benson. After going through a couple of recording companies that didn't work out for them were signed to Motown Records in 1963 and had a Top 10 on both the Pop and R&B charts with "Baby I Need Your Loving". 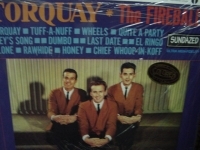 Subsequent singles - Without The One you Love and Ask the Lonely made the Four Tops a hot commodity. On April 23, 1965 their lives changed forever -- Sugar Pie, Honey bunch was released and went straight to #1 staying there for weeks and became one of Motown's most successful singles ever. 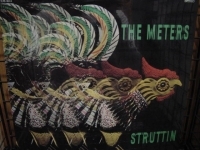 They left Motown Records in 1973, the Four Tops recorded with several other labels. In 1983, they came back to tape MOTOWN: YESTERDAY, TODAY AND FOREVER, the celebrated TV special that honored Motown's 25th Anniversary. 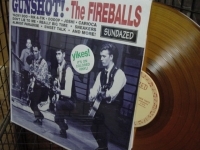 The Tops' battle of the bands medley with the Temptations was one of the special's highlights. The songs on this Greatest Hits album include: Reach Out, I'll Be There - It's The Same Old Song - Baby I Need Your Loving - Sugar Pie, Honey Bunch - Standing In The Shadows Of Love - Without The One You Love - Bernadette - Walk Away Renee - It's All In The Game and Still Water. 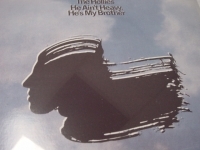 "The Hollies, He Ain't Heavy He's My Brother"
"The JB's, Doing It To Death (rare purple vinyl)"
Classic Analog LP Pressing. 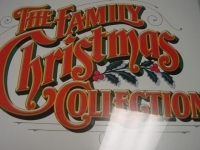 Tracks Include the classic song "C.C. 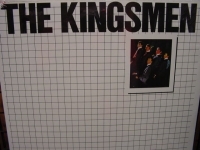 Rider" plus "Busy Body" "Willy Nilly" "Peter Gunn" "Rosalie" "House Party" "Night Train" "Give Her Lovin" "Fever" "Slow Down" "Under My Thumb"
"The Kingsmen, The Kingsmen Ya Ya"
"The Kinks, Kinda Kinks Colored Viny"
THE KINKS - KINDA KINKS- Sealed LIMITED EDITION COLORED VINYL PRESSING OF THIS CLASSIC 1965 MASTERPIECE Recorded in 1965 at the tail end of their world tour, for their second release the Davies Brothers were out to prove that not only could they play, but that they could write their own pop masterpieces as well. 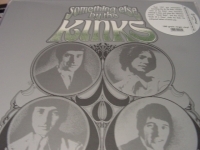 And, of course, with a track list that included hits like "Tired of Waiting For You" - "Come On Now" - and "Don't Ever Change", who could deny that this was true? 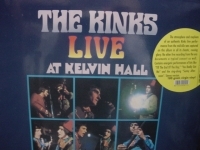 "The Kinks, Live At Kelvin Hall"
Classic Analog LP Pressing. 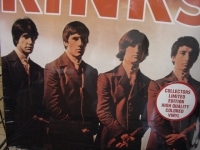 The Kinks were voted the #56 greatest Rock & Roll band of all time. 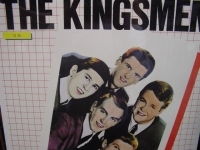 Tracks Include: "Till The End Of The Day" "A Well Respected Man" "You're Looking Fine" "Sunny Afternoon" "Dandy" "I'm On An Island" "Come On Now" "You Really Got Me" "Medley". 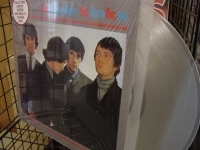 "The Kinks, S/T (Clear Vinyl)"
Classic Analog Limited Edition Clear Vinyl LP. Tracks Include: "Beautiful Delilah" "So Mystifying" "Just Can't Go To Sleep" "Long Tall Shorty" "I Took My Baby Home" "I'm A Lover Not a Fighter" "You Really Got Me" "Cadillac" "Bald Headed Woman" "Revenge" "Too Much Monkey Business" "I've Been Driving On Bald Mountain" "Stop Your Sobbing" "Got Love If You Want It". 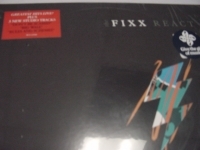 Classic Analog LP Pressing. 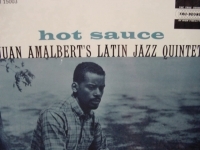 When alto saxophonist Cannonball Adderley culled together this quartet, he grabbed three champions from seemingly disparate schools to complement his flinty solos: Miles Davis, the king of cool; Art Blakey, the thundering force of hard bop; Hank Jones, a veteran of swing; and Sam Jones, a versatile bassist adaptable to nearly any setting. The results are one of Blue Note's most beloved albums. 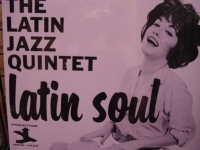 Tracks include: "Autumn Leaves" "Love For Sale" "Somthin' Else" "One For Dadd-o" "Dancing In The Dark" "Bangoon"
"The Latin Jazz Quintet, Hot Sauce"
"The Latin Jazz Quintet, Latin Soul"
"The Leopard Lounge, Various Artist (Bobby Darin, Mel Torme, Ella Fitzgerald and more)"
Classic Analog LP Pressing. 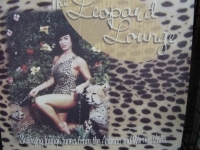 The Leopard Lounge is Swinging lounge tunes from the Atlantic ande Warner Vaults. 34 Tracks such as: Mel Torme/Comin' Home baby - Herbie Mann/Harlem Nocturne - April Stevens/Teach Me Tiger - Les Baxter/A Taste of Honey - Ella Fitgerald/Black Coffee - Sammy Davis Jr./Too Close For Comfort - Bobby Darin/Mack the Knife - Betty Carter/'Round Midnight - Sergio Mendes/Monday Monday plus many more." 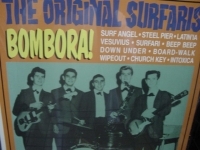 "The Morning Side of Love"
"The New Dimensions, Surf Instrumentals"